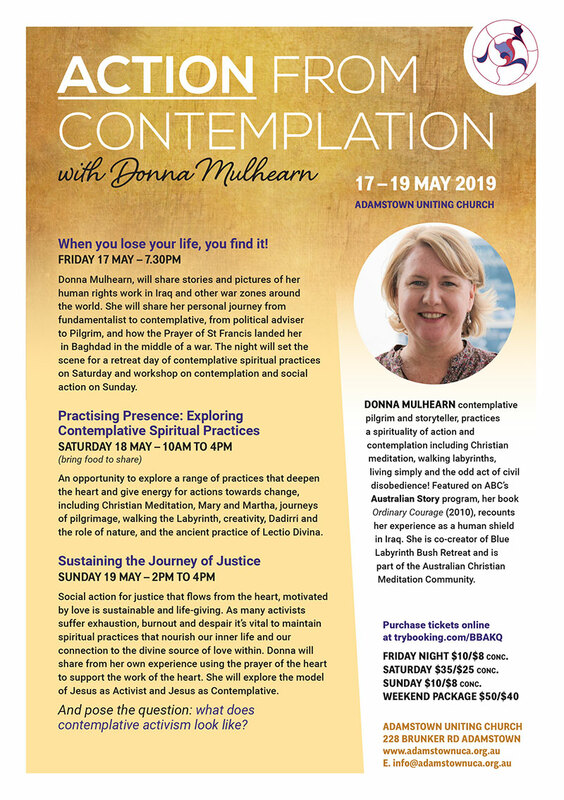 Donna Mulhearn contemplative Pilgrim and Storyteller practices a spirituality of action and contemplation including Christian Meditation, walking Labyrinths, living simply and the odd act of nonviolent civil disobedience! 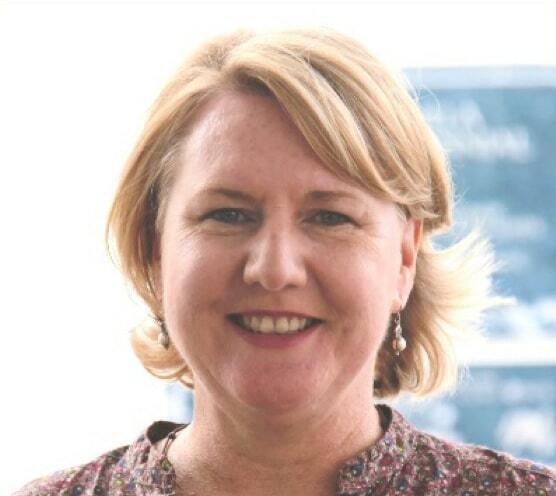 Featured on ABC’s Australian Story program, her book, Ordinary Courage (2010), recounts her experience as a human shield in Iraq, She is co-creator of Blue Labyrinth Bush Retreat and part of the Australian Christian Meditation Community. Friday 17 May 7.30pm – Donna Mulhearn will share stories about her human rights work in Iraq and her inner journey from politics to pilgrimage. Saturday 18 May 10am – 4pm – Practicing Presence – an exploration of contemplative practice including meditation, Labyrinth, creativity, dadirri. Sunday 19 May 2 – 4pm – Action from Contemplation – resources to sustain social activism and change, avoid burnout and sustain your heart passion.